Tom and Huck, originally uploaded by jahansell. 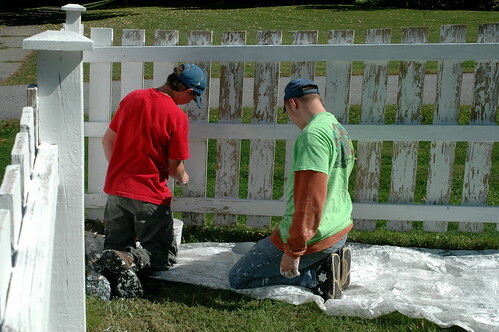 A group of teenage boys has been painting the picket fence in front of the Methodist Church on the corner of the green. I love that fence - it's a great landmark to tell people where my driveway is, and now it's sparkling white again.